More than 40 bags on Nov. 1! 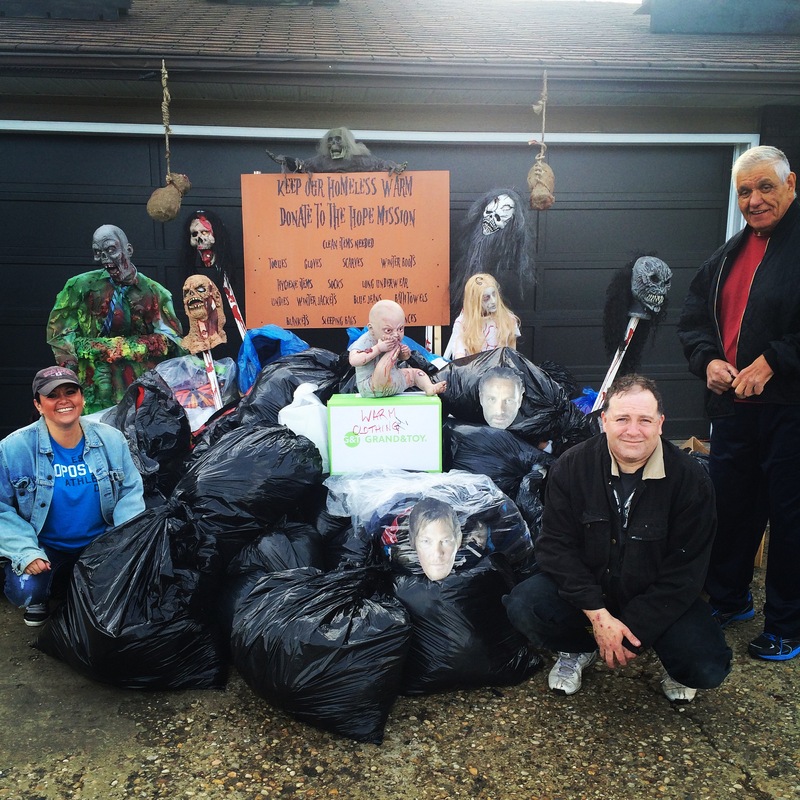 Meet Cindy and Dennis of Stony Plain who ran a clothing drive campaign at their home this Halloween. Hundreds of community members stopped by their home Oct. 31 to admire their spooky decorations while donating clothing and toiletries for Hope Mission. The next day, #bundleupyeg helped to deliver more than 40 bags of donations to Hope Mission. Way to go Cindy and Dennis!